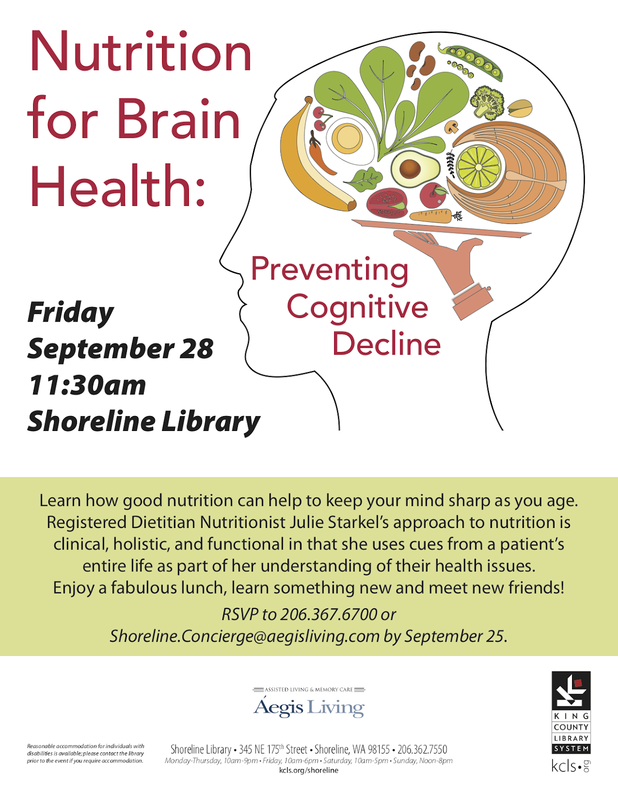 Aegis Living will present a lecture on nutrition and brain health at the Shoreline Library Friday, September 28, 2018 at 11:30am. Lunch provided. RSVP by Tuesday. 206-367-6700 or Shoreline.Concierge@aegisliving.com.